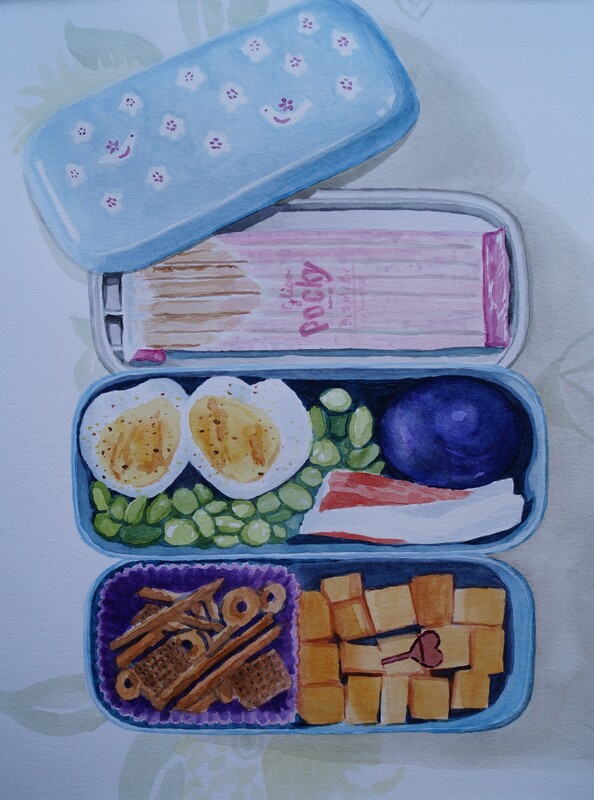 Heart Egg Bento, Feb. 2015, watercolour on paper 11in. x 13in. Published February 4, 2015 at 2865 × 3859 in Heart Egg Bento Painting.